On Saturday night in the frigid cold TD and I headed up to Carnegie Hall to enjoy a concert giving by famed American soprano Alessandra Marc who is particularly well-known for her portrayal of Puccini's brutal Chinese princess Turdanot. 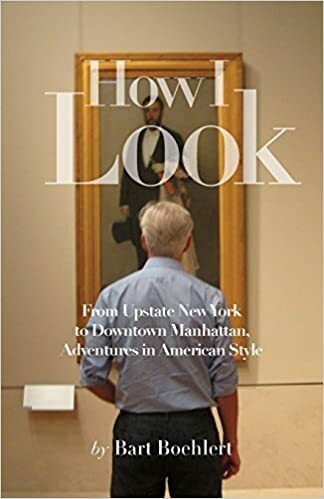 This was billed as Marc's "return to the New York stage" so we were excited to be invited. Carnegie Hall is one of the great buildings in New York. It was built in 1891 by Andrew Carnegie, the nineteenth century industrialist who emigrated with his family to the United States from Scotland as a child. Ah, an immigrant. Carnegie Hall is renowned for its acoustics and graceful beauty. Its white and gold interior is quietly elegant. The main hall seats almost 3,000 people. Weill Hall, on the third floor, where our concert was on Saturday night, seats about 300 people. It was originally called the Chamber Music Hall and was named after Sanford Weill, the former chairman of Citigroup, in 1986. In the hall the stage was set with a black grand piano, a table with a bottle of water, a music stand, and a chair with a pillow on it. Our seats were in the third row. The room was cozy and warm. Alessandra Marc took the stage accompanied by her pianist David Chapman. The crowd received her enthusiastically with a standing ovation. Obviously, she is a favorite in New York. A note from her in the program referred to her convalescence and additional surgeries which loom in her future. She wrote that the songs in the program "eloquently capture the glorious joy and tragic despair the are common to the human experience yet uniquely experienced by each individual." 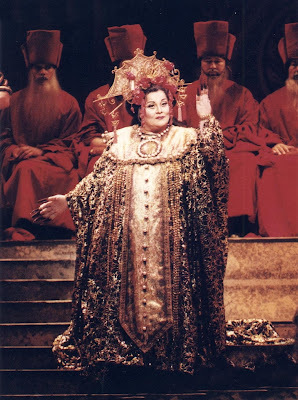 I found this picture of Alessandra Marc as Turandot online. On Saturday night her long red hair was waved in curls and she wore a purple gown with a golden sheen. She stood, and sat, about twenty feet away from us and performed some of the greatest arias in opera as well as some spirituals. It was thrilling. She has a big voice and it was quite extraordinary to be so close to it. The audience loved it and yelled "Brava!" throughout. She is an artist, and whatever her setbacks may have been, an artist needs to create her or his own art. For her encore she sang a famous aria from La Boheme. On the stage: slight David Chapman in a black tuxedo, glossy grand piano, a big bouquet of red roses for the star, and Allesandra Marc in sparkly amethyst singing Puccini. Next to me, my great friend handsome TD in a jacket and tie. It was a beautiful thing. I have been reading your blog for two years now and this is the first time that I have felt compelled to leave a comment. Thanks for a wonderful site on the web that takes the reader away, if just for a few minutes, to beautiful places that remind me of what is truly important...like the value of family, friends, and the America that we all believe in. Your postings are a wonderful exception to the sometimes trivial world of interior design/fashion blogs. Keep up the great work and thanks again! Dear Eleanor and Stephen, Thank you so much for your comments today, that made my day! I am so glad you are enjoying my blog. A friend of mine said to me, "I read your post about white roses and I went out and bought myself some white roses." These comments really encourage me.